A haunting horror thriller set in Britain's North Yorkshire Moors about isolation, superstition and persecution. 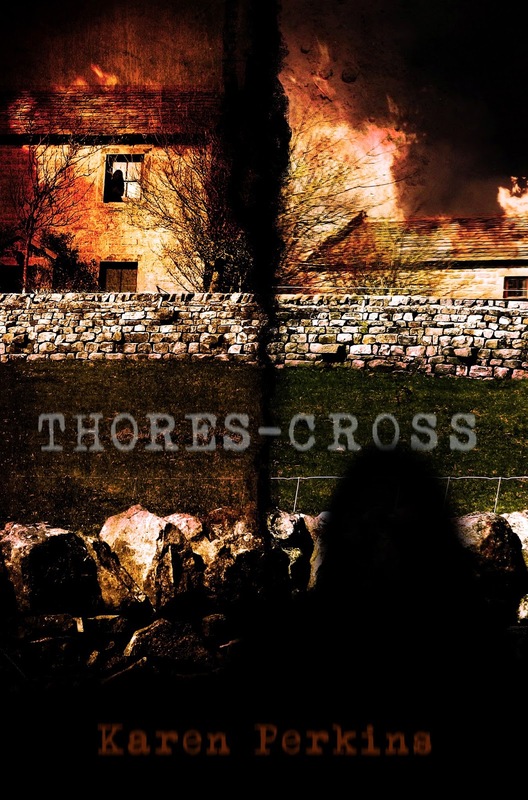 Thores-Cross follows the stories of Emma, a present day writer, and Jennet, an eighteenth century witch. Emma becomes fixated on Jennet, neglecting herself, her beloved dogs and her husband to the point where her marriage may not survive. As Jennet and Emma's lives become further entwined, Emma's obsession deepens and she realises that the curse Jennet inflicted on the Ramsgill family over two hundred years ago is still claiming lives. Emma is the only one who can stop Jennet killing again, but will her efforts be enough? What could I say about this tale that could give it justice? Thores-Cross is about the past, Jennet, and the present, Emma, whose lives intertwine. The story tells of love and betrayal which is told magically. We follow both women’s lives along their journey through hardship and tragedy but Jennet’s was so tormenting that, at times, it was cruel. To be honest, I loved her majority of the time but there were moments that I became so frustrated with her because of her antics. I had to catch myself and remember that she was only fifteen. Jennet’s story definitely touched me the most. I love traveling back in time to learn how others lived and Karen did a splendid job in explaining that in this work of art. Her words truly came to life and I could vision the lay of the land as I read. Emma was of the present time and, although her story was a great one, my heart yearned for more of Jennet’s. At first I thought that Emma was selfish, but then it became apparent the curse Jennet set forth inflicting pain on others. There was a funny moment in Emma’s story when Mark caught her entranced while writing, yet he stuck around. Absolutely not! The link across centuries was believable to me and I wondered how it was going to be explained and Karen pulled it off wonderfully. She basically put it out there to either accept or reject and I accepted. The tale was flawless and well written. This is the first of many books that I shall read from Karen Perkins. I utterly loved this read.